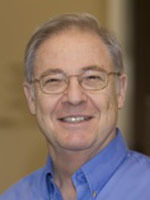 Bill Brandon, editor of Learning Solutions summarizes, "This isn’t a “crystal ball” vision that absolutely predicts what will happen in 2016, but it does point out two disruptive technologies that will definitely affect us in the learning field, and it offers suggestions to help you evaluate technologies you may be thinking about adopting." My purpose in this article is not to give you a “crystal ball” vision of what absolutely will happen in 2016, but to point you to two disruptive technologies (or developments) that each of us, as learning professionals, need to pay attention to in the next five years, beginning now." I’ll also make some suggestions around evaluating the utility of ideas and technologies you will hear discussed as impacting your work in 2016. Finally I’ll offer a short discussion of the road that technologies take to reach mainstream adoption (or “Change Takes A Long Time”), better known as the Gartner Hype Cycle. Every year in every forecast, you get laundry lists of words, terms, and ideas that the writer believes will be important. I’m only going to name two in this section, but you are going to see them and hear of them more and more. You are not going to be able to ignore them in 2016, and probably not for the next five years. Neither is going to impact most organizations greatly in 2016, but pay attention to developments in both of these areas because they are disruptive. They will affect how we work, they will affect business models, they will change workflows, and they will have an impact on individual performance and entire job markets. Cognitive computing, currently in development by IBM (this link opens a 30-minute video overview of cognitive computing, and it’s worth the time; education applications at 26:00) and Accenture (link opens a short summary), is the simulation of human thought processes in a computer model. Related to another buzz word (machine learning) that you have probably heard, cognitive computing involves self-learning systems that use data mining to mimic the way the human brain works. These systems learn and get better with use, and are emerging to augment human capacity and understanding by dealing with unstructured data, applying analytics to the convergence of mobile, social, cloud, and Internet of Things technologies. In a recent survey of C-suite executives, more than a third of the executives named cognitive computing as a top technology in the next three to five years. You may also want to watch IBM’s Executive Overview of their project on YouTube. Next Article On December 28. Don't Miss Out. Bill will post a short feature that discusses trends from 2015 into 2016. He will look at trends that are continuing to run, technologies with a rising number of adopters (or at least a lot of discussion among practitioners online and at conferences), and disruptive technologies that could have an effect on your outcomes in 2016.